Lenovo has unveiled a VR headset at CES 2017 that will cost less than $400 when it goes on sale. The device, which is yet to receive an official name, was developed in partnership with Microsoft for use with Windows 10 systems. 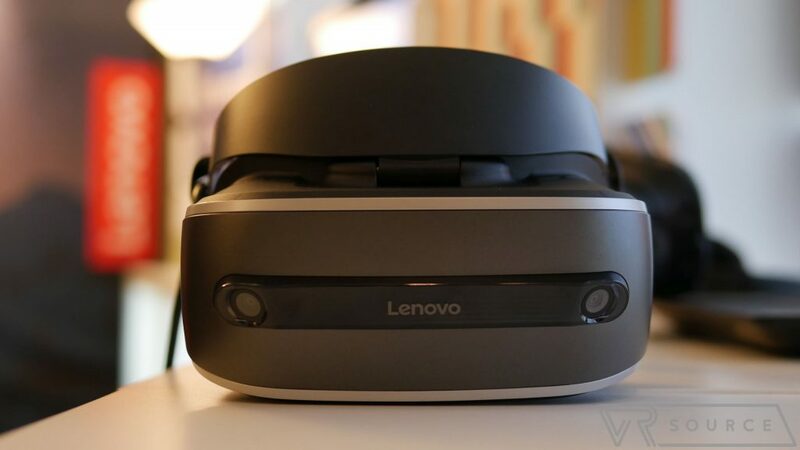 The Lenovo headset is designed to rest on the forehead rather than the bridge of the nose, which may provide a more comfortable fit over longer periods of use, and weighs around 350 grams. Competitors like the HTC Vive and Oculus Rift come in at around 555 and 470 grams respectively. The headset features two front-facing cameras which are used to measure depth — rather than the light towers that must be set up with the Vive — and it has just two cables running from it. What’s more, the display housing itself sits on a hinge, meaning it can be flipped upwards allowing users to see what’s happening in their surroundings without removing the entire headset (see the concepts in the middle of the image above to get a feel for how it looks). Lenovo isn’t currently developing its own controllers for the system, however, so users would have to use a XBox 360 controller or a future equivalent when it goes on sale at an unspecified date in 2017. Microsoft has also partnered with HP, Dell, Acer, and ASUS on future VR products, so we may get a glimpse at some of those as CES continues throughout this week. 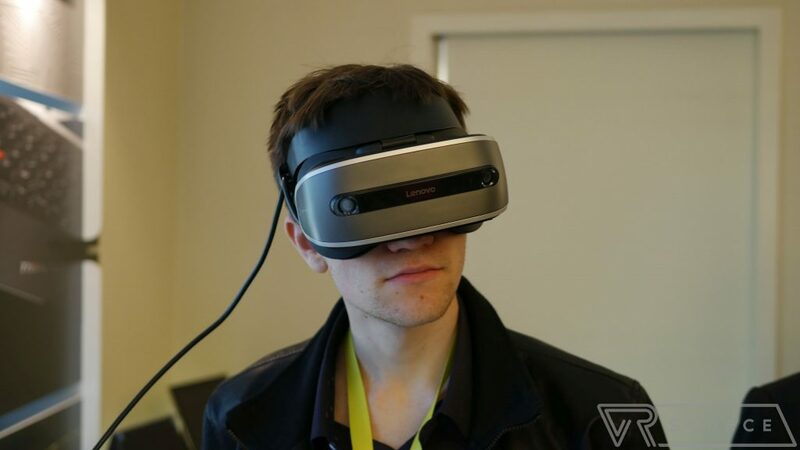 Is Lenovo on the right track with its new VR headset? Give us your thoughts in the comments.